German fleet sisters in Aarhus. 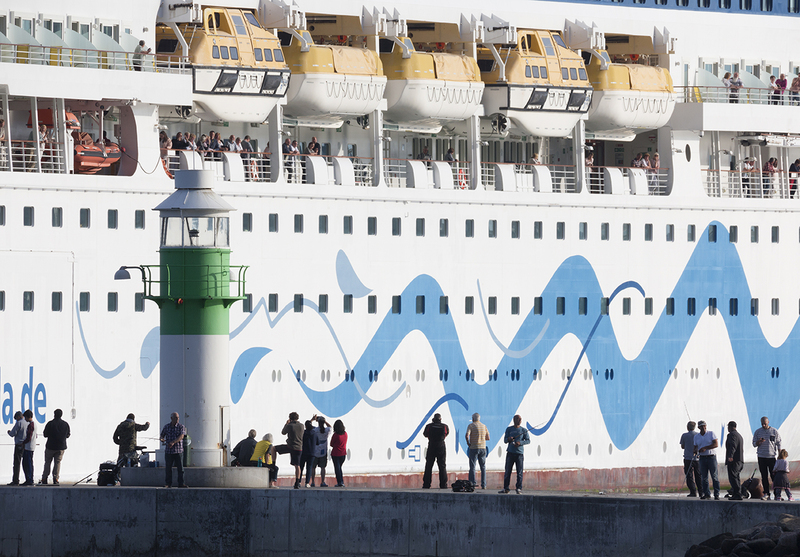 It was heavy clouds and rain showers that welcomed the German passengers on AIDA AURA and AIDA VITA yesterday, when the two sister-cruise ships did a call in Aarhus. Fortunately the weather finally cleared up in the minutes up to the grand simultaneous departure at 19:15. Both ships soon headed out in the Bay of Aarhus towards the Route-T in Kattegat, where they joined up with the larger fleet mate AIDA LUNA and MSC MUSICA to form a cruise ship-convoy through The Great Belt bound for Kiel.